Keep your tiles looking as good as Brand New with The Lotus Cleaning's Tile Sealing Expert Strathmore. Call on 0425 029 990 & hire best Tile Sealing Strathmore services, Lotus Cleaning experts for grout sealing, grout color sealing, re grouting services. Stains can turn even the finest tile unattractive and dull. At Lotus Tile Sealing Strathmore, our superior Tile sealing Strathmore experts use Clear Seal to protect tile and grout against unwanted staining and allowing them to be cleaned more easily. After thoroughly deep cleaning with gentle scrubbers or vapor steam, Lotus Tile Sealing Strathmore specialists apply tile and grout protector to seal and shield against stains and spills. With our unique, non toxic, water based tile sealer Strathmore, there is no need to worry about the safety of family and pets. When grout is permanently stained, even the best tile regrouting services methods can’t reverse the discoloration. Our services, available in a wide range of grout recoloring Strathmore, provides uniform color and a waterproof tile seal Strathmore that makes your tile and grout look brand new. Makes It Easier to Clean : The tile cleaning and sealing melbourne will protect your tile against dirt and debris so that it is easier to clean. Some experts say that tile sealer Strathmore can reduce your cleaning work by as much as 50 percent. The reason is that the sealant keeps dirt, liquids and debris out of the grout and the pores in the tile, so nothing has a chance to penetrate. You can just wipe away the dirt rather than having to use a scrub brush, harsh chemicals and some elbow grease. You’ll be able to get in and get out in no time. Tile Sealer Strathmore will help protect your tiles from stains. The sealant will prevent the liquids and dirt from penetrating and setting in. You have to keep up with the sealant in order for it to be effective, so make sure you stick to the recommended schedule for Tile sealing. With the moist environment in your shower, you can’t afford to go any amount of time without sealant on your tile since stains will set in quickly. When you have to let your tile go and it is beyond your ability to clean, call the professionals at Lotus Cleaning Strathmore. Our experienced and professional tile cleaners can remove even the most stubborn of stains in your tile or grout, helping to give the tile a new look and new life. In many cases, we can save you from having to regrout or replace your tile. We perform ceramic tile and grout cleaning in Strathmore, as well as cleaning for many other types of tile. Then give us a call to schedule your ceramic tile and grout cleaning Strathmore. Grout Sealing Strathmore is an extremely helpful addition to a tile and cement grout installation. Grout Sealing Strathmore will greatly improve the resistance of the grout to staining and discoloration and it reduces the overall maintenance. 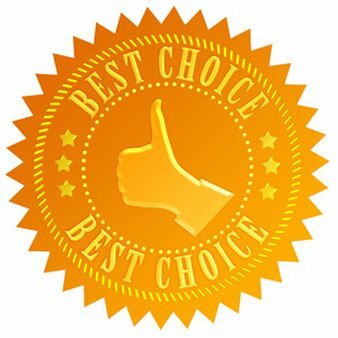 Why choosing Lotus Cleaning Strathmore Services? Are you interested in hiring a Lotus Tile Sealing Strathmore professional to protect your valuable tiles? At Lotus Tile Sealing Strathmore, we stand out as the number one choice for Tile sealing Strathmore. We are confident that our exceptional Tile sealing Strathmore service can protect all your tile and grout and provide the proper care and maintenance that will make them look as good as new, leaving bathrooms and kitchens impeccable.